(WATCH) Feel the Force with our Kill Montage Video from Star Wars Battlefront! 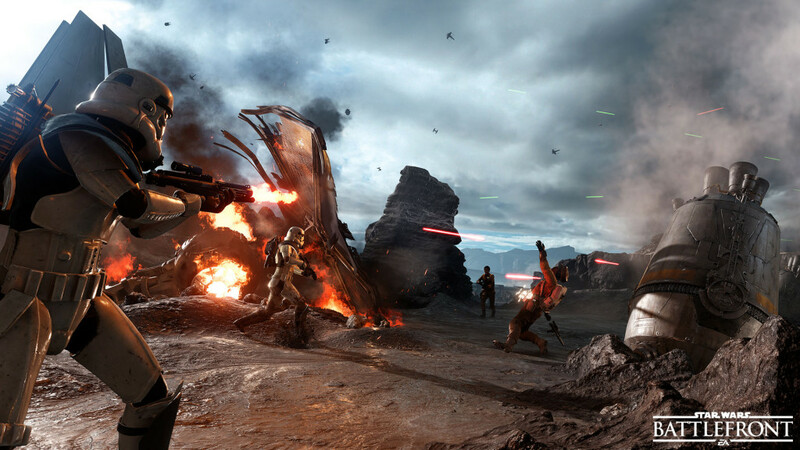 We’ve been playing STAR WARS BATTLEFRONT non-stop since the game launched yesterday and we just simply LOVE IT! It’s everything we expected and more. In fact, we love it so much, we decided to make some video montages to show you the various game types the STAR WARS BATTLEFRONT has to offer. Check out our first video right here! If you enjoy it, be sure to subscribe to the UnGeek YouTube Channel and to LIKE the video 🙂 May the Force be with You!